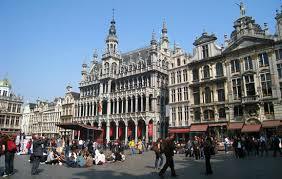 Brussels is a lively city that buzzes with activity day and night. The Vrije Universiteit Brussel, for whom Brussels is its natural biotope, sees it as its duty to participate actively in this animated social and cultural life. First, the Vrije Universiteit Brussel is part of a network of first-rate Dutch-speaking social facilities in Brussels. Dutch-speaking (and French-speaking) Brussels citizens and commuters have access to the infrastructure of the campuses for events, sports facilities, cultural events and healthcare. The UZ Brussel (academic hospital) even plays a pioneering role in this respect, as it is the only Dutch-speaking hospital in Brussels. The close involvement of the Vrije Universiteit Brussel with the city of Brussels is also apparent at academic level. The Vrije Universiteit Brussel conducts research into the pressing issues facing Brussels and organises activities that contribute to the social and cultural life in the capital. A good example is the Centre for Information, Documentation and Research on Brussels (BRIO). Another initiative through which the Vrije Universiteit Brussel stays in close touch with current trends and sensibilities in society (and in particular the Brussels community) is the Science Shop. With more than 6,000 employees (including the UZ Brussel) and more than 9,000 students, the Vrije Universiteit Brussel plays a crucial role in emphasising the Flemish presence in the capital of Flanders, Belgium and Europe.